Every time a new distillery opens up, everyone wants to know, what it’s going to be like when it’s whisky. Stills are tuned to support the style the distillers want to achieve, mashing and fermentation are dialled in to support wanted and get rid of unwanted characteristics – as much as possible. 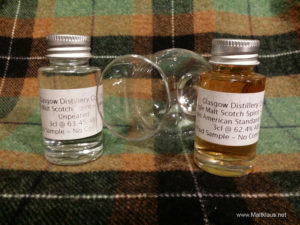 And then, after distillation is complete, there’s the choice of which type of casks to fill. Decisions, decisions – and they all influence what the final products is going to be like – a product no one can predict with 100% certainty. 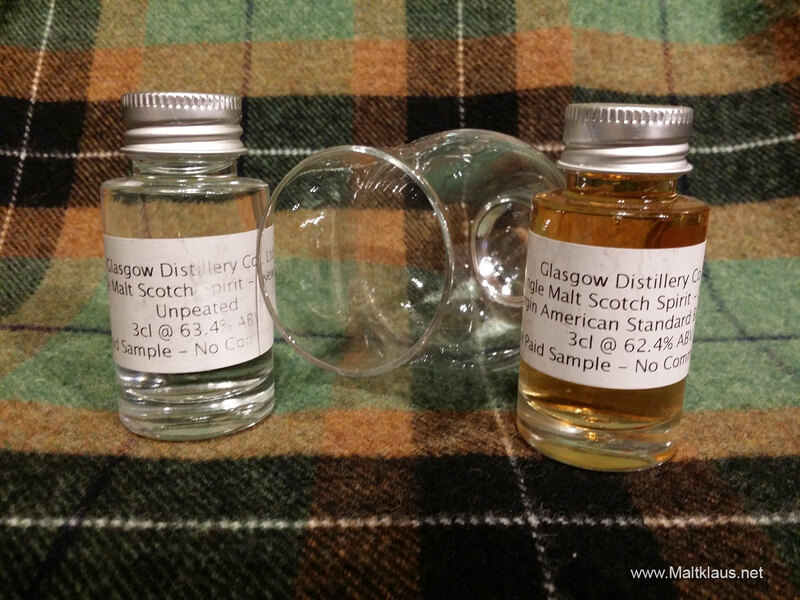 I was given samples of both the new make and an 8-month-old spirit, matured in a virgin American standard barrel from the Glasgow Distillery at an event during the Spirit of Speyside festival last month, so let’s have a peek at where they’re at so far, shall we?